Years ago when I purchased my first Vespa while living in Thailand, I discovered one of the best resources for communicating about my bike. Modern Vespa is a wonderful forum filled with helpful people who know a LOT about scooters, scootering, and of course, Vespas. Over the years, I have frequented that site a lot because it’s fun, interesting, and most importantly, useful. 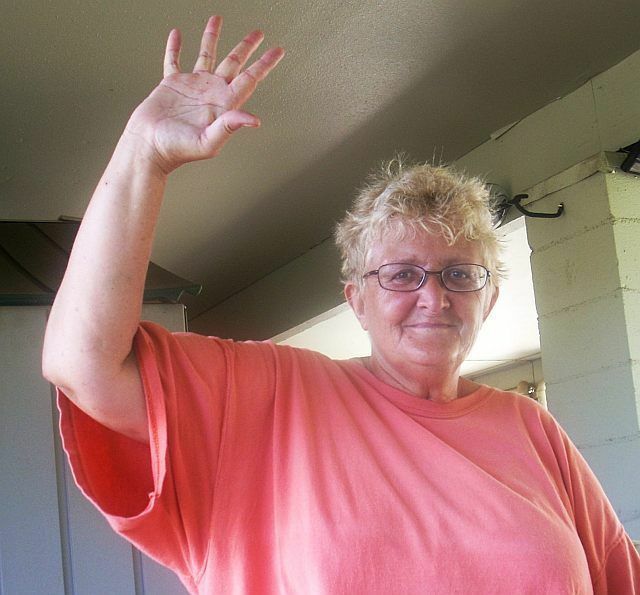 One of the mainstays of that site was a user named “judy.” She loved to post, share feedback, be encouraging to people who were new to scooters, and be a real positive influence. Since first joining the board, she and I corresponded pretty frequently. She’d drop me a line about something I’d shared on the site; send me some words of encouragement; or do something nice out of the blue. While living in Thailand, she wanted to purchase a Vespa mug that I found in the Starbucks there. I sent it to her for nothing because I knew that she’d appreciate it and I appreciated her. Judy was not only a great Vespa lover. She was a great giver of love. She sent out positive feelings and friendship to everyone. She was a really great person and it was great that I could send her a green Vespa mug for her to enjoy every day. Later, I sent her a small care package with our club sticker and patch. I invited her to be our first honorary member. She sent me a cute note with some Hawaiian coffee (where she lived) in the mail to tell me thanks and that she was honored to be a part of the Two Bit Scooter Club. Our scooter club is about being inclusive, sharing the joys of scooter riding, and having fun. Judy was truly the embodiment of those values. Today I learned Judy passed away. She had recently gotten ill and all of us on the board poured out well wishes to her as she recovered from pneumonia and some newly discovered cancer. It’s sad to lose such a really great person but at the same time, she imprinted a positive and wonderful impression with me and with the scooter community on Modern Vespa. Judy will no longer be posting her insights but I know her influence will always be felt.